Sixpence For Your Shoe: Congratulations Anna and Justin! Just three months before their wedding day, filled with amazing ideas and teamed with incredibly talented and generous vendors, Anna and Justin walked into our studio all smiles and we were all ears! We remembered reading Anna's sister Katrina's entry into the Deserving Couple Wedding Contest, led by Jessica's Country Flowers last spring and were drawn to their story and Katrina's thoughtfulness. So it was to our delight, at the late stage, that we would be able to guide them in bringing their vision to life on their wedding day. We so much enjoyed that initial meeting, and have loved planning the little details with them ever since, and although it was only three months ago, it feels like we have known them forever. Today, Anna and Justin will tie the knot in front of their family and friends and celebrate following at the Webb Barn. With a soft, fluttery, and bit of a feminine vibe mingled with warm vintage color tones, the sweetest of details, and an absolutely beautiful couple (seriously! ), we can not wait to share it all with you - so be sure to stop back in and relive it with us in pictures. 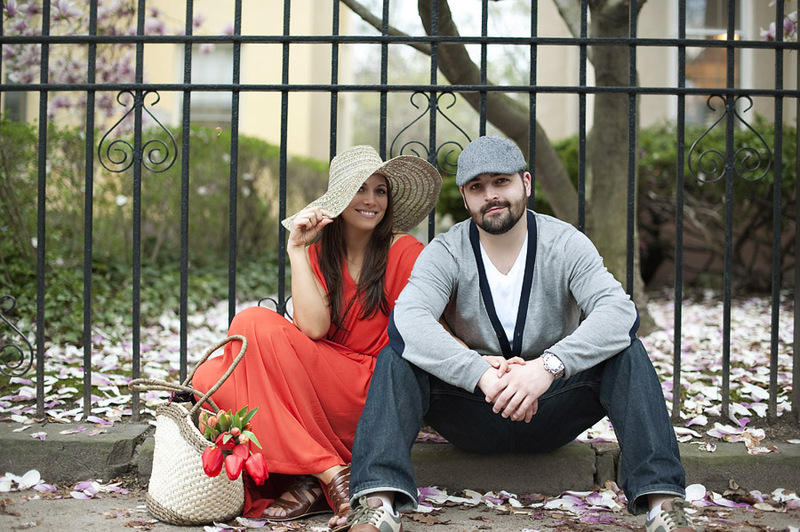 Swoon-worthy engagement pictures including the above by Justin & Mary!